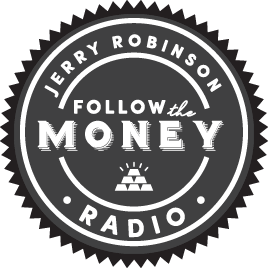 This week, Jerry and Jennifer Robinson discuss the success of the recent 2018 Follow the Money Summit, and delve into the importance of "commitment" when it comes to achieving success. Later, Tom Cloud discusses the latest events impacting the gold and silver market and Mike Mitchell asks: "Are you positioned for retirement success?" On the heels of the smashing success of Follow The Money Summit 2018, Keynote Speaker of the event and serial entrepeneur Jerry Robinson announces 3 exciting locations under consideration for Follow The Money Summit 2019. Also, he begins a new teaching series in which he dissects the acronym “C.O.U.R.S.E.” by zeroing in on the letter “C”, which stands for Commitment. Are you committed to achieving success? CONTEST! Send us your best pics of Follow The Money 2018 Summit! 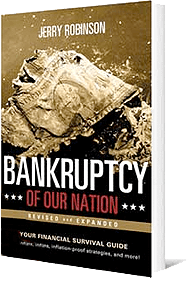 U.S. debt is over $21 trillion, interest is $400 billion/year! Christian financial advisor Mike Mitchell offers an expert voice of wisdom in making proper decisions for sound retirement. Today, he discusses strategies for financial success in retirement. In our final segment, Jerry encourages us to remember that faith is evidence, as declared in Hebrews 11:1, and that without it, it is impossible to please God. Plus, he presents a riveting question from the Savior and Son of God, Jesus Christ.